The foil is a descendant of the light court sword used by nobility to train for duels. It has a flexible, rectangular blade approximately 35 inches in length and it weighs less than one pound. While top foil fencers still employ the classical techniques of parries and thrusts, the flexible nature of the foil blade permits the modern, elite foil fencer to attack an opponent from seemingly impossible angles. 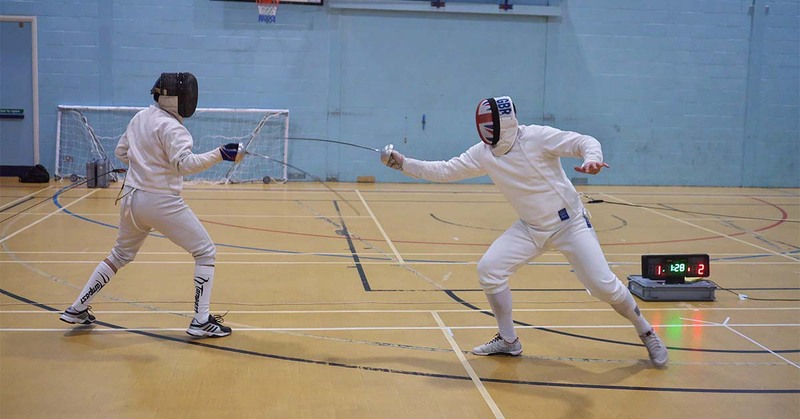 Competitors often “march” down the fencing strip at their opponent, looking to whip or flick the point of their blade at the flank or back of their opponent. Because parrying (blocking) these attacks can be very difficult, the modern game of foil has evolved into a complicated and exciting game of multiple feints, ducking, and sudden, explosive attacks. Here at Lilov Fencing Academy in Cedar Grove, we teach foil fencing along with saber and epee. We want students to learn about all of the different styles of fencing so that they can choose one that best fits their natural aptitudes. Contact us today for information about fencing lessons for children.